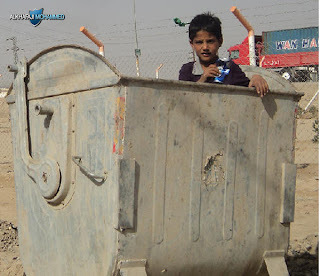 أطفال بين النفايات يبحثون على علب المشروبات ليبيعوها . 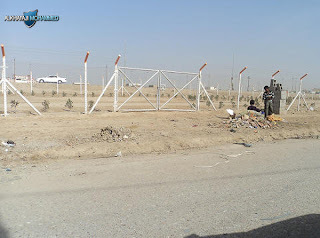 If Maliki and Hashimi left fighting among themselves, and they interested in to these children what happens ? 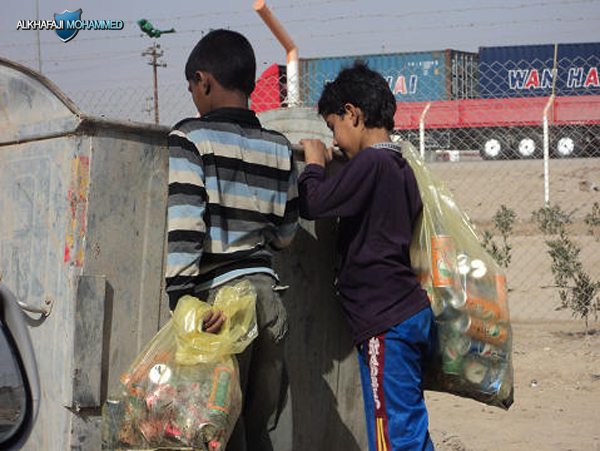 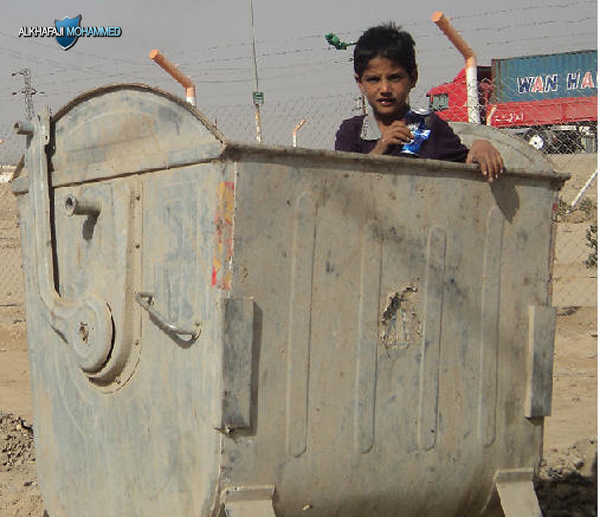 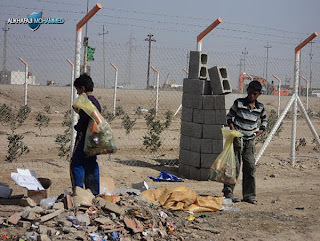 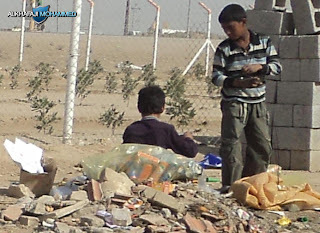 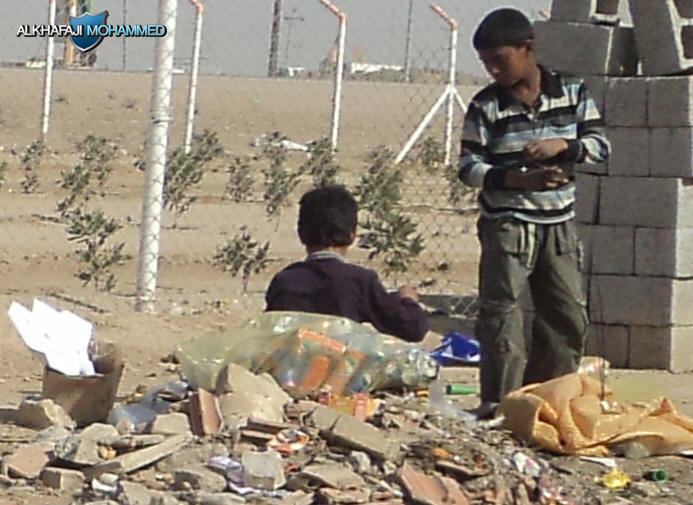 Children between the waste searching for beverage cans to sell it .